Marcus loves to work with people and enjoys relationships. Mentoring young men, relating with people through deacon work at church, interacting with boards, and being involved in therapeutic residential programs for boys has been enjoyable and life-giving for him. He and his brothers started Paradise Energy Solutions nine years ago. In the fall of 2016, he took a sabbatical from work and spent a year focusing on ministry and his family. Then recently Marcus took on the role of administrator at Silver Springs Ministries and is excited about the work that God is doing through the ministries of Camp Andrews and Meadows of Hope! Marcus and Joanna have six wonderful children. As a family, they love to go on camping trips, raise pigs, steers, and fruit on their farmette, and the boys love hunting with Marcus. Jenni's previous experiences include case management and community development work with refugee and immigrant youth in Canada, teaching English and mentoring university students in Cambodia, volunteering with refugee resettlement organizations in Canada (and now in Pennsylvania), family support work for children and adults with developmental disabilities, and providing spiritual and emotional support for college students at Rosedale Bible College. Jenni enjoys working with people of all ages and cultural backgrounds, although she especially enjoys teenagers and refugees. She is extremely fond of the teen girls in the program at Meadows of Hope. They are brave and beautiful young ladies, with so much potential ahead of them. Jenni loves her family and friends and is very thankful for the important people who make up her personal support network. When Jenni is not in the office at Meadows of Hope, you might find her globetrotting, taking a road trip, canoeing, reading, making curry, baking cookies, drinking coffee, playing guitar, spending time with friends, or laughing at herself. Curt has been resident of Northeastern Lancaster County all of his life. After graduating from Sharon Mennonite Bible School, Curt married Tresa (Newswanger) Weaver (his high school sweetheart) and then taught school at Terre Hill Mennonite High School (where he and his wife both graduated from). 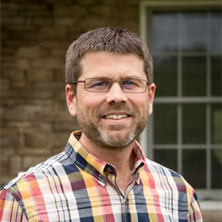 After teaching high school for 7 ½ years, Curt earned a Bachelor's degree in Bible and Christian Life and Ministry from Lancaster Bible College. (read more) After working in Human Resources for a few years in the family business, Curt moved his family to Northwestern PA for 1 ½ years, graduated from Faith Builder's Educational Programs with an Associate's degree in teaching, and went back to the classroom at Shalom Mennonite School where he taught 7th-8th grade for five years. During these five years at Shalom Mennonite School, Curt joined an exploratory committee that Camp Andrews assembled to research the possibility of starting a residential girl's home. The first committee meeting was held on January 14, 2011. After the Board approved the creation of a girl's home, Curt resigned from teaching and served on a steering committee to help start Meadows of Hope (MOH). Preceding the opening of the girl's home, Curt came on staff to serve in the office at MOH. Curt enjoys spending time with his wife, Tresa, and their five children (ages 13-24), doing activities such as drinking coffee with Tresa, finding new bike trails with Tresa, exquisite food preparation with his three sons (and eating it), playing Acquire with two of his sons, swimming with his children, deer hunting, and having meaningful conversations with his family. 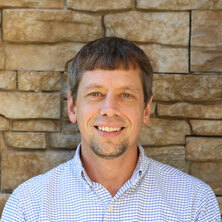 In addition, Curt loves playing competitive racquetball and tennis with his younger brother. In off-duty moments, Jewel enjoys catching up with friends, seeking solitary places, burrowing into a good book, traveling home for some 'family 'n farm therapy', or hopes that her fun-loving youth group will hang out again. Jewel loved serving as a Mentor at Meadows of Hope from 2014-2016, where it felt like she was often on the cutting edge of learning something new, exciting, and life-changing. She loves this program's focus on God's transforming work in the heart. A quote from Jewel, "I used to pray to see miracles. God listened. Now I live among them all the time." In 2016, Jewel accepted the position of Girls' Care Supervisor at Meadows of Hope. She also spent several months serving as House Mom in 2017 when the need arose. She currently serves in the program as the Girls' Care Supervisor, which involves supporting the House Parents and Mentors in their direct care of the teen girls in our program. Both Daryl and Mary have a heart for youth and through the years have served in roles impacting the youth and young adults at their church, Millport Mennonite Church. They also served at local outreach programs in their community. They cared for 11 children through the foster care system and have maintained some of those relationships. They do not have any biological children. Daryl and Mary are passionate about their work with "The Second Tunic", (www.secondtunic.org) an organization that they founded in 2005 to send, support, and serve long-term national missionaries. Currently they support workers in the Philippines, Thailand, Nepal, and Hong Kong. Through regular travel to spend time with those they support, they are able to use their gifts of encouragement, mentoring, and member care. They have also served in overseas missions assignments with Eastern Mennonite Missions and Youth With A Mission. Recently while traveling in Asia, God was speaking to them and asking them, "In response to the pain and brokenness in our world today, how will you live using the talents and gifts I have given you?" The opportunity to serve at Meadows of Hope as House Parents seemed like the answer to this question. They both love people and have a desire to disciple and nurture them, pointing them to the hope and healing found in Jesus Christ. They want to be obedient to the call of the Lord. As Paul said in Acts 20:24, "But my life is worth nothing to me unless I use it for finishing the work assigned me by the Lord Jesus." After a few years, Deb decided to go into voluntary service. She served at Hillcrest Home in Arkansas for 3 years. She served in several different positions, but being a Certified Nursing Assistant was definitely her favorite position. She found joy in providing care for the elderly in their last months of their lives. She also enjoyed the opportunity to pursue and care for the girls that came to serve as well. She loved to see them rise above their hurts in their lives. Over her time at Hillcrest Homes, God placed a passion in Deb's heart to help hurting women thrive in life instead of survive. Not knowing where to go with the passion, she went overseas to Institute for Global Opportunities (IGO) in Thailand for a term. God slowly brought Meadows of Hope into her life through several people. As God opened the doors, she walked through them. After sensing God's leading, she moved to Meadows of Hope in 2017 to fill the need for a mentor. Deb is excited about joining the team at Meadows of Hope. She desires to be used by God to help teen girls find healing and freedom in Christ. Some of Deb's passions and hobbies are quality time with friends and Jesus, authenticity, sewing, baking, cooking, painting, coffee, and chocolate. June 2014 was the first of four summers that Carmen was at Camp Andrews with Washington DC camps. In spending time with hurting teens at Camp Andrews, she realized she had a heart for hurting people. Carmen often dreamed of reaching out to hurting people, but for a long time felt she was too young to be involved in an organization. While waiting to see where God would lead her, she began preparing to help hurting people in the future. It was during this time she took the Apprenticeship Program that Deeper Life Ministries offers. Carmen is thankful God allowed her to pursue some of her dreams by leading her to Meadows of Hope. She considers it a privilege to share the hope and peace she has found in Christ with those who have lost hope. After seven years in the cast, Melissa and Scott felt God was calling Melissa to a different career ministry. She enrolled in graduate school at Lancaster Bible College, where she obtained her Master's degree in Counseling. Melissa has been a counselor since 2005 at Upward Call/Shepherd's Touch Counseling Services in Leola, Pennsylvania. Also, she has served as Meadows of Hope's counselor since its beginning in 2014. Melissa passionately loves serving God's daughters, counseling clients as young as age 9 and as old as they can get! She has extensive experience in counseling clients with depression, anxiety, eating disorders, abuse histories, grief, self-mutilation, Obsessive-Compulsive disorder, relationship problems, and much more. One of her greatest joys is witnessing clients' transition from barely surviving to thriving—all to God's glory! 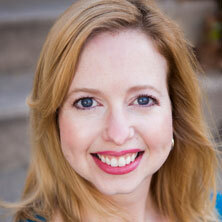 Melissa lives with her husband Scott and their two exuberant children, Aria and Hunter. She enjoys reading, writing, public speaking, cooking, movies, the theater, the outdoors, traveling, tea time, friendships, and time with family. She continued her equine education with certifications in EAGALA equine assisted therapy and the Certified Horsemanship Association while pursuing a Bachelor's degree at Tyler School of Art at Temple University. It was clear that God was calling her to continue her work with horses as part of a ministry, although where and when were still uncertain. In 2011, she began working at a local horse farm teaching riding lessons, handling horses, and assisting with summer camps. A short while later, she was asked to give input on equine facilities and programs as part of Meadows of Hope's steering committee. Bree was immediately inspired by the vision to help hurting teen girls and to use horses in the healing process. After completing her college education in 2012, Bree continued working with horses and searching for a ministry or program where she could use horses to help people. She was offered the position of Equine Supervisor at Meadows of Hope in 2013, which she eagerly accepted. Since then, Bree has felt overwhelmingly blessed by the work that God is doing and His leading in both the challenges and triumphs of this program. During these years she taught music and developed an Art program for grades 1-8 at Shalom Mennonite School. Her love of music motivated her participation with Oasis Chorale for five seasons. Bettina joined the team at Meadows of Hope in 2015. Bettina has a growing passion for leading teens and children in creative experiences which develop their artistic skills and nurture redemption and beauty in their lives. Believing that creativity and beauty reflect God's glory and invite a broken world back to wholeness, she delights in walking alongside teens in this process. Her hobbies include biking, hiking, cake decorating, crocheting, drinking coffee with friends, singing, and painting. Sonya’s love for traveling has taken her to 6 different countries so far. She thoroughly enjoyed teaching VBS in Belize for 2 weeks. She traveled to Guatemala under SMBI’s WATER program in 2017. She was there for 6 weeks and loved it. However, at that point she knew God was calling her to more. She wanted to go somewhere or be a part of something for a longer period of time. She loved her job of being manager at a produce stand. She enjoyed the customer interaction and the relationships with coworkers. But when Sonya felt God was calling her to Meadows of Hope, she was excited to move forward. She wanted to grow , and she wanted a challenge. 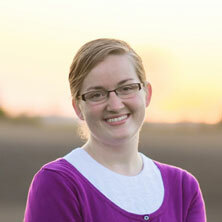 Sonya is happy to be a part of the team at Meadows of Hope and her goal is to be a servant of God in any way He asks. Some of Sonya’s hobbies are horseback riding, volleyball, traveling, and coffee with friends. She is thankful for the opportunity to serve God in this way and for the support from her family and friends. Janelle has worked as a critical care nurse, a telemetry nurse, and a resource nurse in a retirement community. Her desire to see other countries may someday lead her to take her nursing skills on short-term mission trips. A few years after getting married, Phil and Janelle moved to Camp Andrews in southern Lancaster County, where Phil became the Administrator of that ministry to urban children. The camp setting was a great place to raise three active sons, homeschooling for some of their school years. Presently, Janelle is employed at Meadows of Hope, a ministry of Camp Andrews, providing residential care and therapy for hurting teen girls. She serves in a role that involves assisting administrative, school, and house staff. Managing health issues, planning staff education, assisting in school, and running errands for staff are all part of Janelle's work at Meadows of Hope. Janelle loves spending time with her husband, her three married sons, and her daughter-in-laws. But the shine in her smile is her new grandson, Rylan. Janelle's hobbies include reading, playing piano, taking walks, teaching ladies Sunday school, and being with her family.